As part of their 20th Anniversary celebrations, Strut present the first new volume in their pioneering 'Nigeria 70' series for over 8 years, bringing together rare highlife, Afro-funk and juju from the '70s and early '80s. Compiled by collector and DJ Duncan Brooker, this new selection of tracks is receiving its first international release outside of Nigeria. 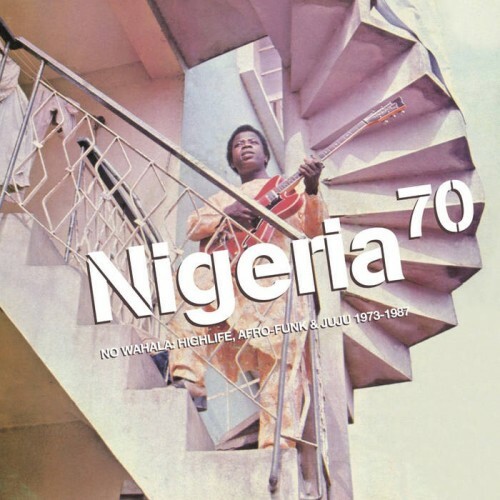 The compilation returns to a fertile heyday in Nigerian music when established styles like highlife and juju became infused with elements of Western jazz, soul and funk and musicians brought a proud new message post-independence. Brooker places the spotlight particularly on some of the incredible Ukwuani musicians from the Delta State region as guitarist Rogana Ottah and Steady Arobby's International Brothers Band forged their own fluid brand of highlife and soulman Don Bruce drew on the US RandB greats for a series of great albums and explosive stage shows at his residency at Hilton Hotel in Abuja. 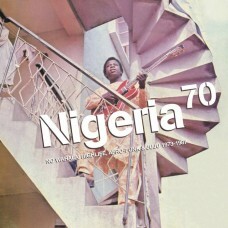 Elsewhere, the album explores the close connection between Nigeria and Benin's music, most famously through Sir Victor Uwaifo, appearing here with a killer mid'80s ekassa jam, as well as highlife hitmaker Osayamore Joseph on 'Obonogbozu' (Joseph made headlines in Nigeria for very different reasons in 2017, surviving a one month kidnapping ordeal). Other tracks include 'Sickness' a 1979 lament on how all countries share troubles by Prince Nico Mbarga, the Nigerian / Camerounian star behind the smash hit 'Sweet Mother'; reggae singer Felixson Ngasia switches to funk and disco for a heavy workout with potent lyrics around black identity; another major highlife great Etubom Rex Williams unleashes a punchy psych funk gem with 'Psychedelic Shoes' and Africa 70 member Pax Nicholas vocals a simmering Afrobeat groove from Jacob Lee's Saxon Lee and The Shadows International Band.